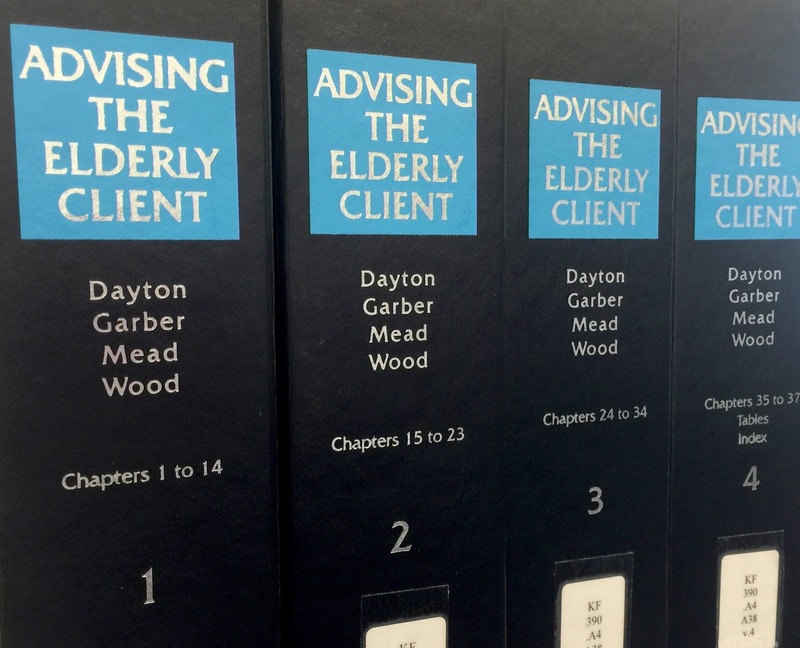 Advising the Elderly Client is a 4 volume set dedicated to a host of legal issues that aging adults face in today's world. In broad terms, it focuses on finances, health, and discrimination. Additionally, it includes a section on grandparent rights and kinship caregivers. It includes a surprisingly robust set of forms available on CD, containing more than 100 sample documents. The authors introduce the researcher to an overview of elder law practice, including establishing your practice, ethical considerations, consumer issues, and daily living problems of aging clients. The majority of 2 volumes deal with financial issues. These topics span from financial and estate planning to dealing with a variety of benefits, retirement plans, as well as tax and insurance issues. You will also find analysis of long-term care, assisted living, skilled nursing care, inpatient hospital services, hospices, in addition to paying for health care. Medicare and Medicaid coverage, claims, and administrative proceedings are also addressed. The final volume examines discrimination against the elderly. The subjects range from employment and age discrimination to disability discrimination and access to accommodations. For more information, you can review the content notes in the catalog record for a detailed listing of the variety of issues presented in this title. 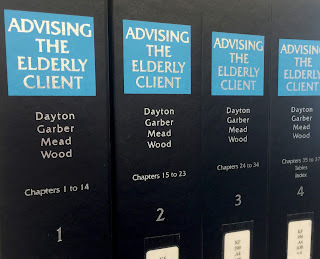 If you regularly refer to the State Bar of Wisconsin's title Advising older clients and their families, consider reviewing this larger set to expand your research.